Pictometry International Corp., inventor of measurable, aerial oblique imagery and analytics tools, launched Pictometry Integration for Autodesk AutoCAD Civil 3D 2013 and 2012 products at Autodesk University the last week of November. 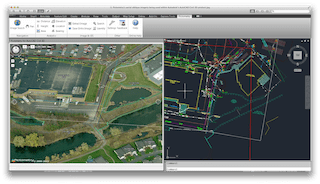 Now users’ high resolution geo-referenced aerial imagery can be accessed from directly within the AutoCAD Civil 3D workspace, enabling users to visualize and take measurements of real-world field environments, helping reduce the need for field visits. 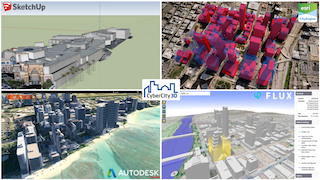 AutoCAD Civil 3D use has grown phenomenally over the past two-three years, and continues to climb, according to experts in the field. It will also certainly benefit Pictometry to gain access to Autodesk’s millions of users. 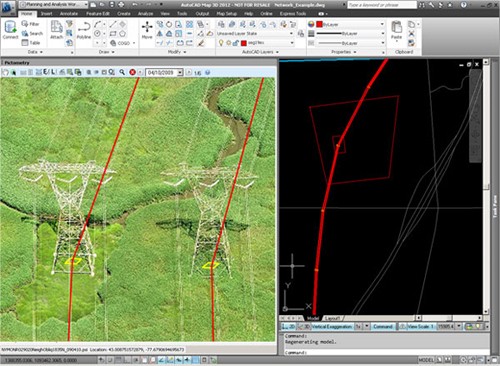 One of our most popular posts has been the announcement of the integration of Pictometry with AutoCAD Map 3D in 2011. Pictometry Integration for AutoCAD Map 3D 2012 allows users to plan and design assets without leaving the Map 3D environment.